Ton's of props to choose from! 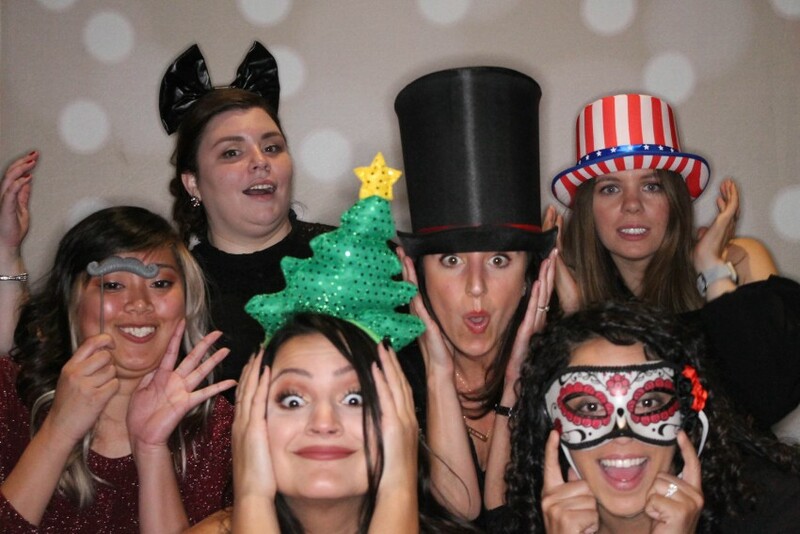 We are a professional high quality photo booth studio. 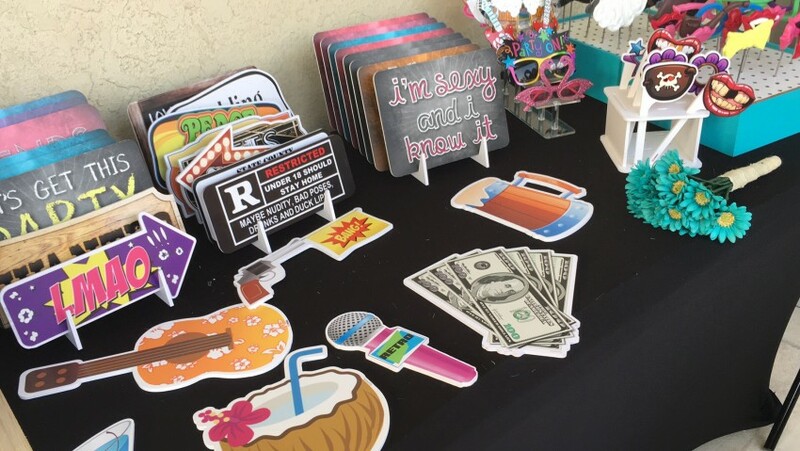 Our unique sense of style is shown in everything that we do from our booth set up to our wide assortment of high quality props, signs and hats. We don't just push the button and hope for the best. 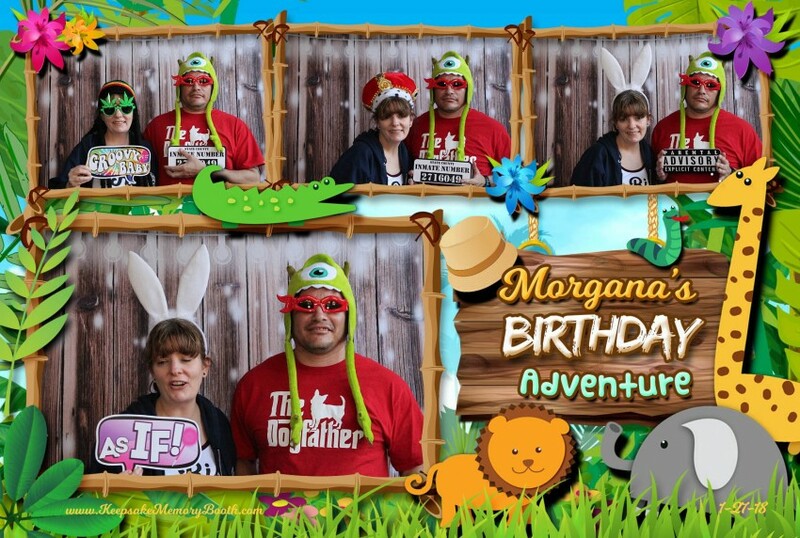 Each photo is adjusted and captured by our professional booth photographer. Your entertainers will bring out the best in each person that they capture. Our equipment is state of the art and the images captured are a high resolution DSLR image. The quality of the prints and the experience are unsurpassed. Your guests will leave with a keepsake memento that they will cherish for years to come. If you are looking for the best you have found it. Thank you for allowing us to be a part of your birthday celebration! Looking for the basic's? Only need us for a short period of time? Want to rent us all day and include all the bells and whistles? We have packages designed to fit everyone's needs all the way from the small birthday party to the huge corporate event. The Keepsake Memory Booth is husband and wife team Roy and Renee Bear. The Bears love what they do and you can see it in their unique style. Whether it's a Wedding, Birthday Party, Theme Party, School Fundraiser or Cooperate Event understanding that everyone is different the Bears can draw even the shyest person out of their shell and coax them into having some good old fashioned FUN! 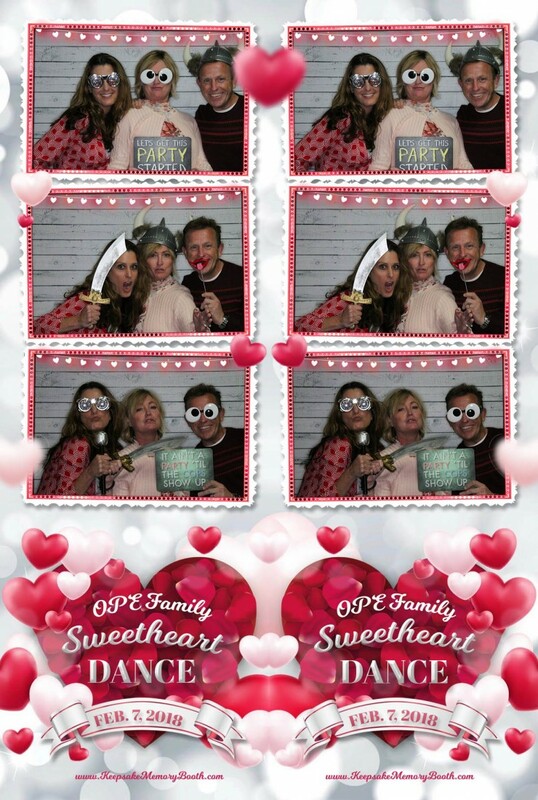 Their goal is to capture the unique quality and personality of each and every guests that they photograph in the Keepsake Memory Booth! 1. We do require a $100 non-refundable deposit at the time of booking to secure and reserve your event date with final payment due 15 days before the event date. 2. Travel up to 40 miles is included in all packages for events beyond the 40 miles there is a small additional charge. 3. The first 150 guests are included in all of our packages. If your event should exceed 150 we have a small additional charge to cover the extra media needed. 4. Overtime fees will be applied should the Client choose to have the booth run paste the agreed upon time. The booth entertainer will attempt to alert host of last call 30 minutes prior to booth end time at which point Client will have the option if the booth entertainer is available to schedule additional time in $50 increments per every 30 minutes. If client does not wish to purchase additional time booth entertainers will close the booth at the agreed upon time. 5. Upon arrival we will need a clutter free 10' x 10' space with an electrical outlet close by to set up in. 6. This winter we have had a lot of rain for Southern California. If your event is being held outside please be sure that the photo booth location will have cover in the event of inclement weather as our equipment is electrical. After attending a bridal show and having our photos taken in the photo booth we decided to add a booth to our wedding company as an additional option. 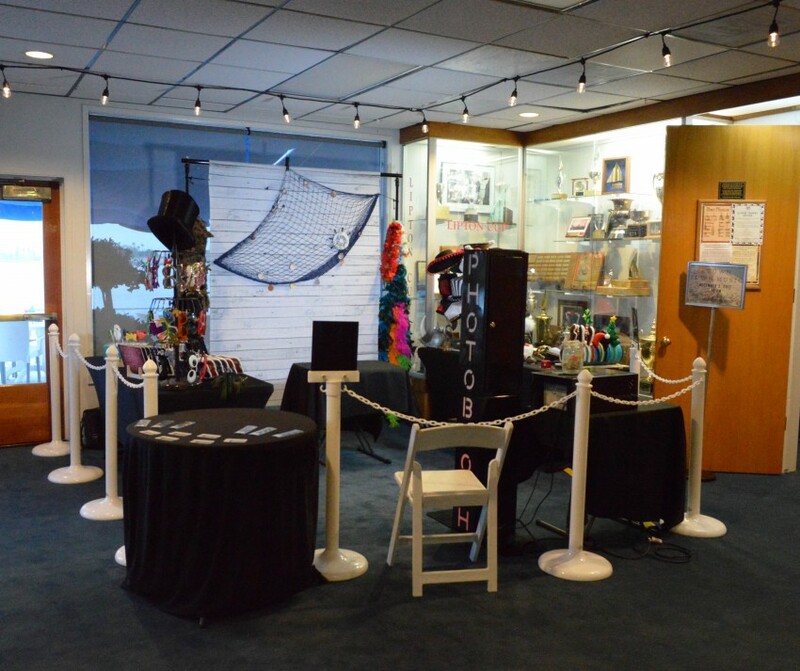 Our goal was to have the best booth and set up available. After much research and consideration we decided on the booth that we have because of the superior quality of the photos taken and the eye pleasing look of the booth itself. We then made sure to have the best and biggest assortment of props and design templates available for our clients to have fun with. This has been an exciting journey for us. We love what we do and we cannot wait to share the fun and excitement with you. All we need is a covered 10' x 10' space with electricity. We provide everything else.